The internet has lately, and quite rightly, been going nuts over "Back To The Future Day" – the date where Marty McFly and Doc journeyed to in the 1989 film Back To The Future. 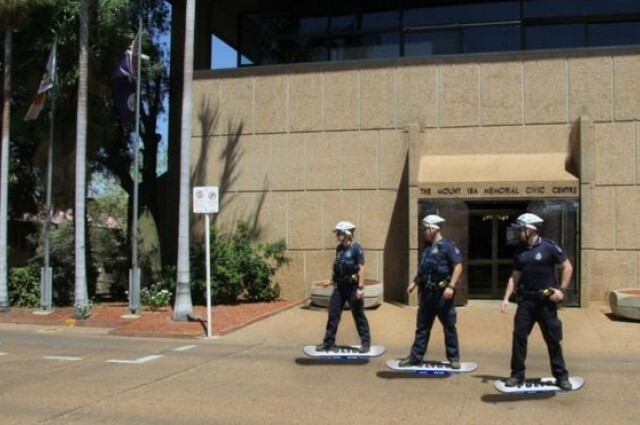 The jokes and tributes have been swamping our news feeds, but, the award for the best joke has to go to Australia’s Queensland Police. Just this morning, they issued a report saying they’ve positioned officers from their hover board unit to inspect a silver Sedan crashing into a power pole near the movie theater. Speciously, a 17-year-old man was charged though his license had expired over 30 years ago. Anyway... has anyone seen my 1950-2000 Grays Sports Almanac?